BEIRUT (Reuters) - Lebanon's foreign minister urged Syria on Monday to offer guarantees on property rights and military service to encourage Syrian refugees to return home. Tiny Lebanon has been host to more than a million refugees from neighboring Syria since the civil war there began in 2011, though some have returned as fighting has eased in more and more areas of the country. 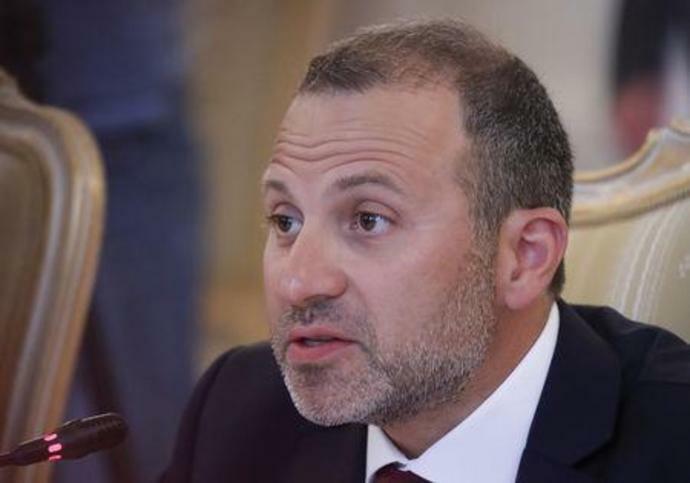 "In the process of encouraging returns, the Syrian government can make a big contribution, on top of the reconciliations that are already happening, by giving security guarantees," Lebanese Foreign Minister Gebran Bassil told a news conference in Beirut. More than half of Syria's pre-war 22 million population was displaced by the war, over 5 million of whom left the country as refugees, mostly to adjacent Lebanon, Turkey and Jordan. Syrian President Bashar al-Assad government's has recovered most of the country with the help of Russia and Iran, clawing back rebel enclaves in what Damascus calls reconciliation deals. Bassil, speaking alongside visiting Iranian Foreign Minister Mohammad Javad Zarif, said he hoped the pace of returns would increase and that Damascus could help smooth this with guarantees on "individual property rights and military service". Bassil also said guarantees from Damascus would help end what he called an "ongoing campaign of intimidation" to stop refugees from going home, without elaborating. A Damascus museum on Tuesday unveiled a replica, built by Italian archaeologists, of part of a temple altar destroyed by Islamic State militants in the ancient Syrian city of Palmyra. The 2,000-year-old Temple of Bel at Palmyra was one of the jewels in Syria's lavish trove of historical monuments, spanning myriad civilizations, before the country's conflict began in 2011. Islamic State seized Palmyra in May 2015 and demolished many of its ancient structures and objects, while looting others to help finance its operations. Syria's government has agreed to allow planes from regional aviation giant Qatar Airways to fly over the country after eight years of conflict kept its planes at bay. "Transport Minister Ali Hammoud has agreed to allow Qatar Airways to cross Syrian airspace, based on a request from the Qatari civil aviation authority," the ministry said late Monday in a statement. Most airlines stopped flying over Syria after war broke out in 2011, instead taking longer routes to circumvent the war zone.